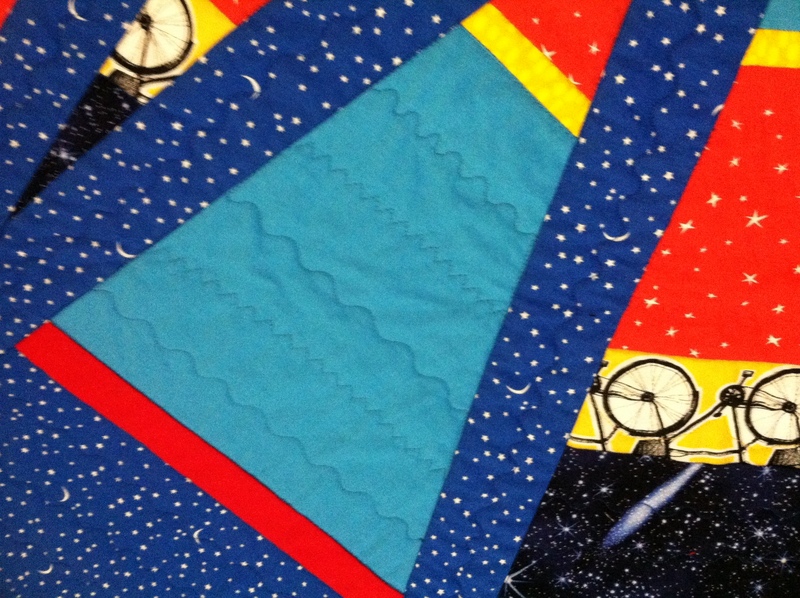 ← When your quilt isn’t working…keep working on it. 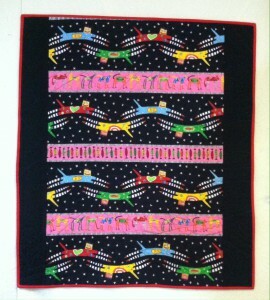 I stayed up until the early hours of the morning two nights in a row to finish this baby quilt. Then I took BART to San Francisco to hand it to the grandma who commissioned it for her new grandson in Israel. She was getting on a plane later that day and didn’t have time to come to Berkeley to pick it up. 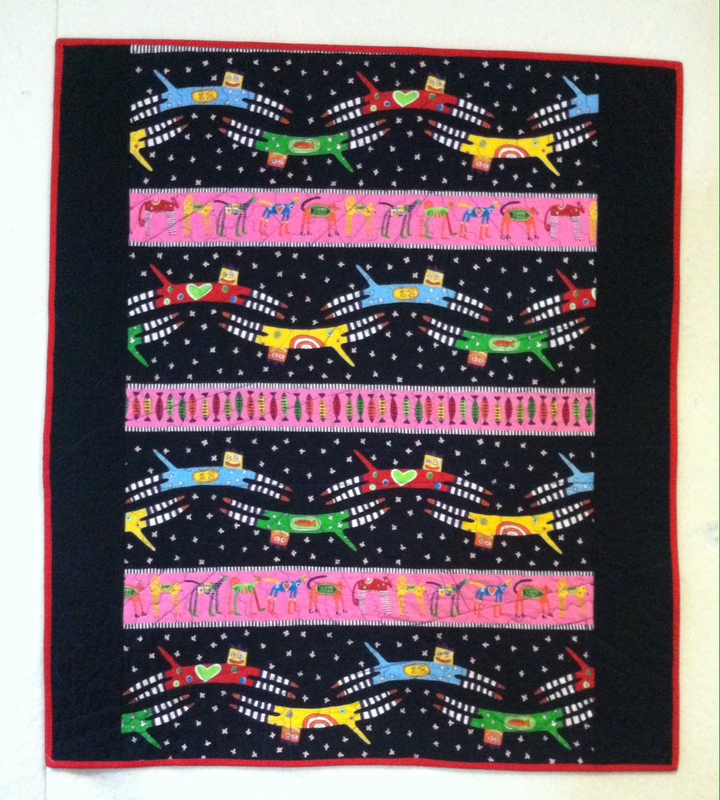 We stood there in the Powell St station, while I showed her the quilt, and sent it on its way. This is my first quilt finished in 2019! I have had this fabric in my stash for a long time, and I don’t remember buying it. I think it probably came from my mother’s stash, which I inherited. Here’s a detail of the quilting. 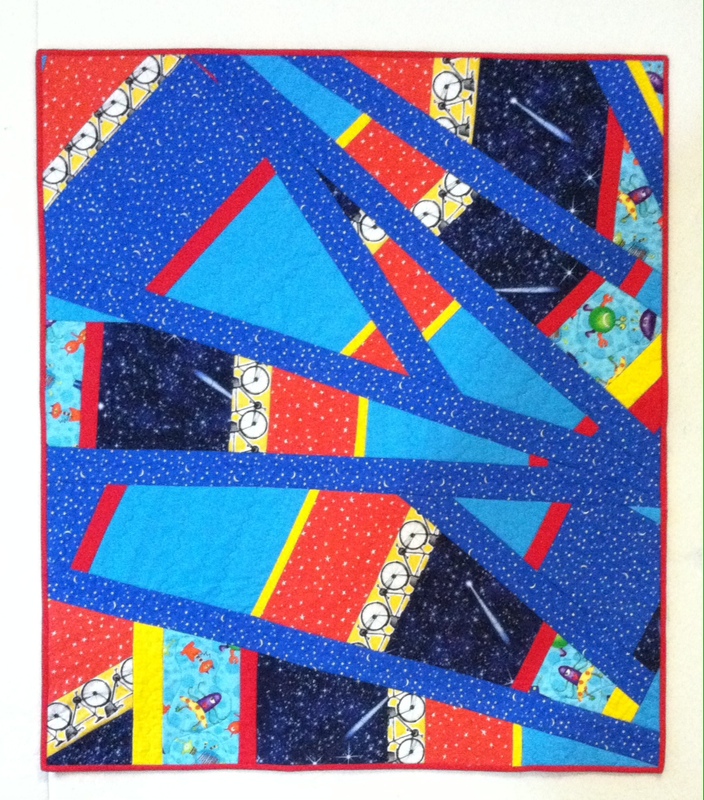 I used a zigzag on my machine that had 3 stitches for every zig, and a curvy line. 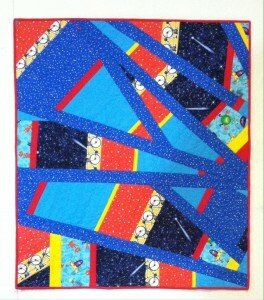 I used my walking foot for all the quilting.